Side dishes, such as Potato & Macaroni Salad, add to any meal. 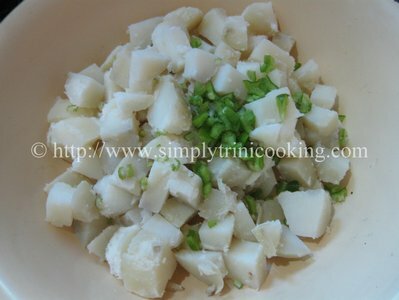 They make a normal plain rice or even a mixed rice dish more delicious. 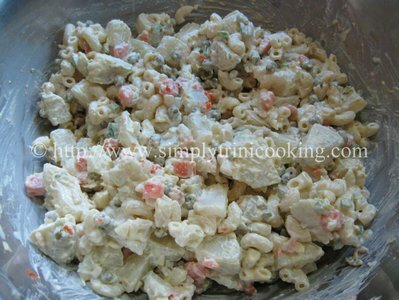 Potato/macaroni salads? 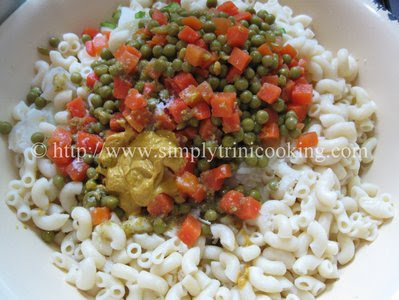 Yeah, These are the two trini favorites when we think of a salad followed closely by cole slaw. 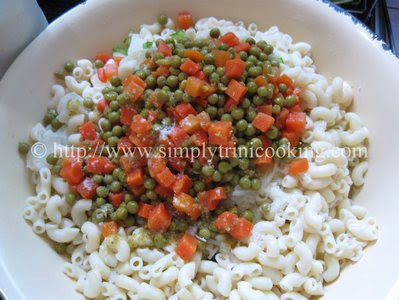 We trinis can’t do without this side dish, especially on a Sunday, together with macaroni pie and callaloo. 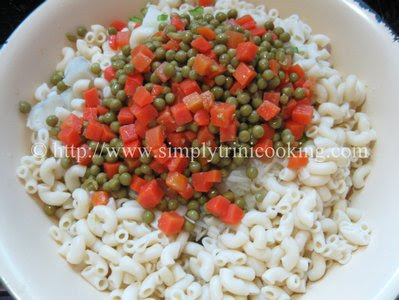 This salad recipe, Potato and macaroni salad (even separate as potato or macaroni salad) makes a perfect side dish for anything barbecued (fish, chicken or pork) and, another of my favorite Trini dishes, pelau. But you can’t stop there, it can also make a filling meal by itself; not to mention it makes a perfect 30 minute meal. Anyhow, don’t be daunted by the amount of ingredients in this salad recipe: it’s really simple. 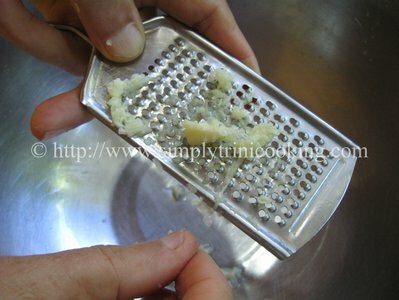 So simple a caveman could do it ….but then macaroni wasn’t invented as yet hahaha lol! I’m talking too much…..clearly. 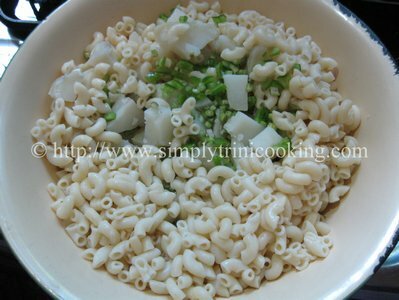 Here is potato and macaroni salad. Boil the macaroni and set aside. Dice the cooked potatoes, peppers, and celery. 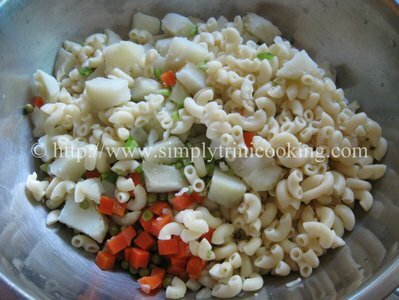 Place the cooked macaroni, potatoes, diced peppers and celery in a deep mixing bowl. ….mayonnaise and the optional ingredients. Mix the ingredients and refrigerate. Serve cold. 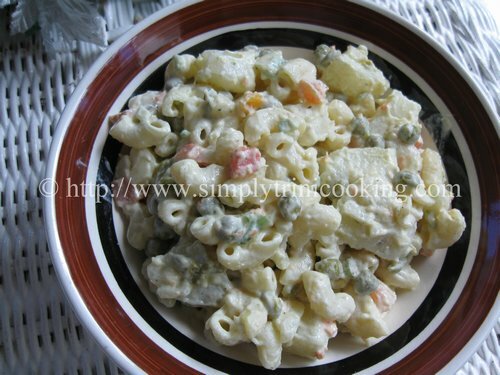 Don’t forget to leave your comments for this potato & macaroni salad recipe.